The Wooden Boat Museum offers guided tours and boat building demonstrations, with special programs each weekend featuring local artists, musicians, and craftspeople. 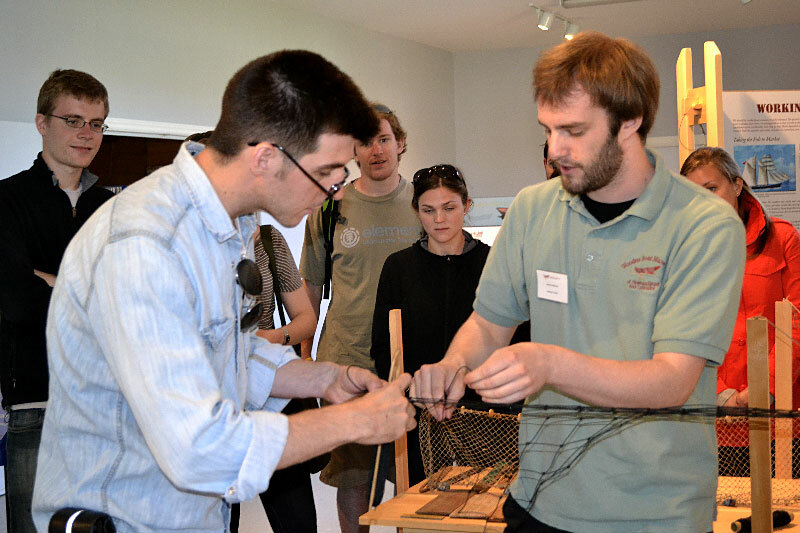 Workshops are designed to provide both a cultural and hands-on experience for visitors having any level of background in the building and use of traditional Newfoundland boats. Each session begins with a discussion of small boats in a Newfoundland fishing community, including fishing and transportation uses, boat builders and materials used. All workshops provide an overview of basic structure and construction techniques before focusing on one of four key components in the building process: stem & keel, moulds & battens, timbers, and planking. One Day Boat Building workshops are offered every Saturday in July and August from 10:00am – 5:00 pm. View detailed schedule. During the summer, the museum offers a program titled Creative Hands. It gives artists an opportunity to demonstrate their skills, knowledge and craft. The program features artists, musicians, and craftspeople whose creative works reflect Newfoundland and Labrador’s culture and heritage. This includes a wide range of demonstrations from wood carving to painting, birch broom making, rug hooking and musical performances. Full 2018 schedule to come soon. The Heritage walking tour takes you through the scenic town of Winterton. View and learn about the local scenery, fishing stages and historic buildings.